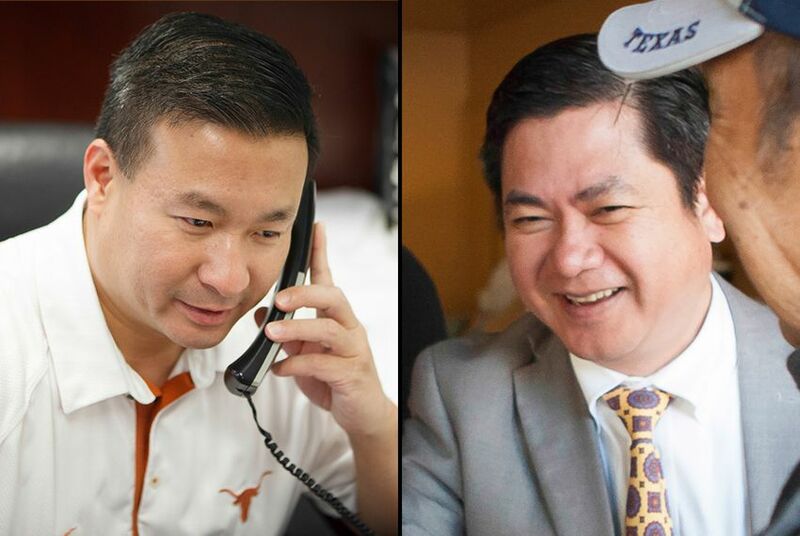 A Democratic state representative who is the only Vietnamese-American ever elected to the Texas Legislature will face the winner of a Republican primary that has two Vietnamese-American hopefuls. A Democratic state representative who is the only Vietnamese-American ever elected to the Texas Legislature has drawn two Vietnamese-American Republican challengers. The contest underscores the diversity of the Houston district in a state where Asian-Americans are the fastest-growing race or ethnic group. Nghi Ho and Al Hoang, the Republicans who are vying to unseat Rep. Hubert Vo, are talking about the usual issues, like abortion. They are also talking about some unlikely topics, like the Communist government in Vietnam, the birthplace of all three candidates running in the southwest Harris County district, which includes most of Alief. “It shows that a place like Alief has come a long way from what it was when it was first established as a fairly Anglo suburb of Houston,” said Mustafa Tameez, a political consultant for Vo’s first race. Both Republicans, who will face off in the March 4 primary, have held public office: Ho, 47, is an Alief school trustee, and Hoang, 51, was a Houston city councilman who just lost a re-election bid. Vo, 57, who has no primary opponent, is one of five Asian-Americans who have served in the Texas House (none have served in the Senate). The first was Tom Lee, a Chinese-American Democrat from San Antonio elected in 1964, followed decades later by Martha Wong, a Chinese-American Republican from Houston. 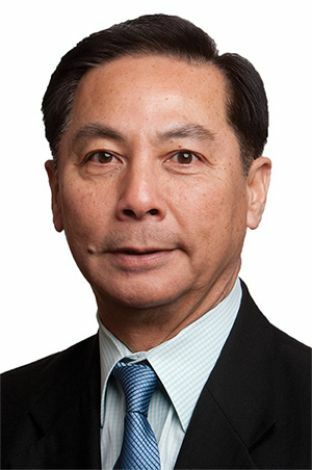 Angie Chen Button, a Taiwanese-American Republican from Richardson, and Gene Wu, a Chinese-American Democrat from Houston, are current House members. Statewide, from 2000 to 2010, the Hispanic population grew by larger numbers than any other group, but the smaller Asian population grew at a faster rate, increasing by 71 percent, compared with 42 percent for Hispanics, according to the state demographer’s office. Vo’s district — which he has served since barely unseating Talmadge Heflin, a Republican, in 2004 — includes sizable white, black, Hispanic and Asian populations. Of the district’s 44,000 voters in the 2012 general election (they favored President Obama), 8 percent had Vietnamese surnames, according to the Harris County Clerk’s Office. That office, which provides ballots in English, Spanish, Vietnamese and Chinese, tracks the surnames as part of its work to address language requirements of the Voting Rights Act. Republicans are betting that many Vietnamese voters are Republicans who cross over to vote for Vo and that the swing district can return to GOP hands with the help of that small but powerful group of voters. As Hoang and Ho fight for the chance to face Vo in November, Vietnam has become a focus, but just for one of them. Hoang, who was imprisoned in Vietnam for more than a year when he traveled there in the early 1990s as an activist seeking to overthrow the Communist government, now believes that peacefully pressuring the nation’s government to change is more realistic. “When I’m elected, I myself will actively communicate with Hanoi,” said Hoang, a criminal defense lawyer. Ho, a financial planner who emphasizes education and speaks of his service in the United States Navy, distanced himself from that issue. “I don’t get into the politics of Communist Vietnam,” Ho said. Hoang, who strongly opposes abortion, is also drawing attention to the difference between himself and Ho on that topic. “I will show to the Vietnamese that it’s time for them to make a decision not on the ethnic part but on the issues,” Hoang said. Ho said he was more focused on fiscal issues like lowering taxes and was neutral on abortion. Vo said that he had forged deep ties in his diverse district and that he was used to fielding challenges. “I just want to make sure they want to serve the people sincerely,” Vo said.